This has been the most difficult two weeks of my life. On Sunday, July 6th, my Father passed away. It still doesn't seem real. If you've been a reader of Ten Feet Off Beale for a while, you might recall that my Dad had CLL or Chronic Lymphocytic Leukemia. He lived with this disease for 13 years. He would undergo treatment and get better. He would end up in the hospital and then go home after a few days. The disease essentially made his immune system obsolete, so the real threat was infection. I don't want to get too much into what happened here, but on Sunday, June 29th, I quickly booked a flight to New Jersey. My Dad was in the hospital with pneumonia and it wasn't looking good. I spent the week at the hospital with my entire family and close friends encouraging and praying for my Dad. This was probably the longest week of my life. We prayed and hoped and overall stayed very positive. It was an emotional roller coaster. He would improve then decline then improve again. I just knew he would get through this. I mean, he had beaten pneumonia before. 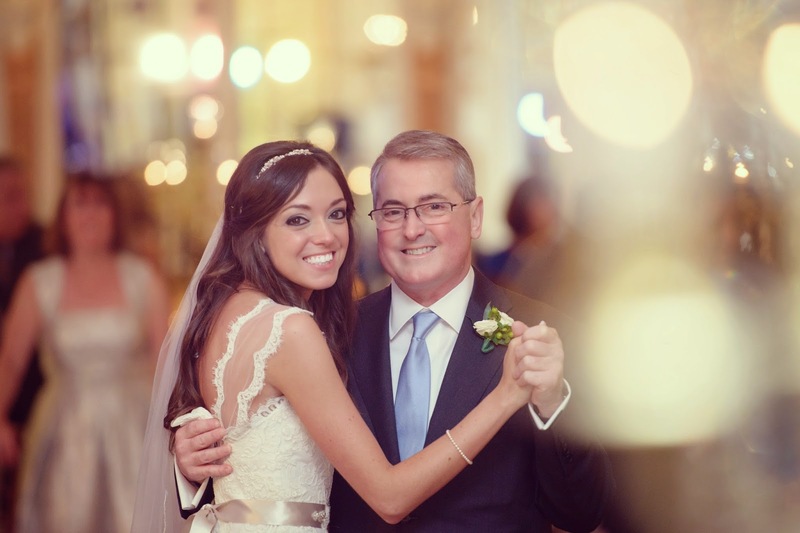 A week later, on July 6th, in a hospital room surrounded by his family, my Father passed away. The visitation, funeral, and burial all seem like a blur. I just can't believe he's gone. I will say that I am beyond thankful that he was able to attend my wedding, and that he was in relatively good health. He gave the most beautiful speech, walked me down the aisle, and danced with me like I always dreamed he would. These are memories I will truly cherish forever. Dad, I miss you so much already and know that you will always be with me. I hold onto the fact that you are no longer suffering or in pain and that we will one day be together again. I love you. I'm so very sorry for your loss. You and your family are in my prayers!!! So very sorry for your loss. I will be praying for you and your family as you continue to grieve. You and your family are in my prayers! Losing a loved one is never, ever easy. There will always be happy days and sad/hard days. I lost my father a little over a year ago from a stroke he had in his sleep. I'm so happy you have those memories to cherish of your father! Oh gosh, I am so sorry for your loss. My heart breaks for y'all. Sending lots of good thoughts and prayers. So sorry for your loss. It's never easy. My prayers are with you and your family. Omg so sorry to hear this! Breaks my heart! Prayers being sent to you and your family! Sweet girl, I'm so sorry for your loss. I know words can't make this better, but I'm praying for you and hoping that as time goes by, your wounds heal a little bit. Those photos are so precious! I am so glad he was able to be there for you on your wedding day! Oh my. I'm so sorry for your family's loss. I know that there is absolutely nothing you can hear right now that will ease the pain, but please know that I am sending positive thoughts and prayers from Arkansas your way. I teared up just reading this. I am so sorry for you and your family. You are in my prayers. Oh my gosh, darling. I had no idea. You are certainly in my prayers. So sorry for your loss, honey. Thinking of you, and so glad you have the memories of him at your wedding. So so sorry. I know nothing anyone can say will take the pain away, but know I am praying for you. I am so sorry for your loss. Your dad seemed like a great man, and I am happy that you have those special memories with him. So incredibly sorry for your loss. I can't imagine what you are going through, but will be holding you and your family in prayer. What a blessing to have some great memories of him at your wedding. I am so terribly sorry for your loss. Your post has me in tears. I hope you find comfort in the amazing memories you have with your dad in the coming weeks. Thinking of you! Alyssa, I am so very sorry for your loss. Just from those photos, I can tell that you and your dad shared something very beautiful. Please know that your family is in my prayers. I am so sorry for your loss. Sending lots of good thoughts and prayers your way. Oh, bless you! I am so sorry in the loss of you DAD. I love the pictures and I know that you will cherish them in the days to come! Praying for your family, sweet girl! So so sorry for your loss. I am sending lots of prayers and love to you and your family. Cherish the moments you have with him, especially that beautiful day in your white dress! Oh dear girl! I'm so so so very sorry!!! Oh honey I am so sorry! I will keep you and your family in my thoughts. Alyssa, I am so incredibly sorry to hear about your loss. If there is anything I can do for you, please don't hesitate to reach out. I'll be praying over your family tonight with my whole heart. You are in my prayers. Sorry for your loss. I lost a very close family member this year as well so I know what you are going through and I know that these words are not going to comfort you. Ill just say this. Take it day by day. I am so sorry for your loss. What an incredibly difficult thing to deal with. I am sure he is smiling down on you from heaven and is equally thankful that he was able to be at your wedding in good health. You're in my prayers. Just think...you have one more special guardian angel watching over you now. I am so sorry for your loss. I lost my father in October, and its hard. You have to take it day by day. There are some good days, and some terrible days. He's watching over you, smiling. I am sorry for your loss. He is definitely somewhere being all healthy. I am so sorry to hear about the passing of your dad. You and your family will be in our prayers. I hope you'll be able to find comfort in each other as you grieve. Big hugs. Alyssa, I am so sorry for your loss. Praying for you. I almost didn't comment because I wasn't sure what to say, and if it would make any difference. However, I'd like you to know that you have a whole community behind you and who loves your blog and loves you as a person, even though very few, if any of us has ever met you! I wish that there was something I could do to help. I'm so sorry about your father. I'm also glad that you and your father had the experience of him at your wedding, and that he doesn't have to endure pain any longer. Let me know if there's ANYTHING I could possibly do. I know this is the most trying time in your life, but please know that besides having so many supporters, you are stronger than you know. Please take care! Hugs. I know we are new friends but If you ever need to talk I'm here. I can tell you from experience that it does get easier. So sorry to hear about this. I lost my mom six years ago...it does get easier with time, but loosing a parent is one of the hardest things in life. Sending prayers your way. Those pictures you have with him are just beautiful! Sending prayers your way--I cannot even imagine. So happy you have those memories and photos from your wedding to cherish forever. i'm so sorry to read about this....my dad is currently battling cancer and it really is such an emotional roller coaster. praying for you and your family. Praying for you doing this difficult time. I cannot even imagine but know that you are in my prayers! I pray for peace that surpasses all understanding! I haven't been reading your blog (or blogs in general) as often I used to and I missed this post. I just wanted to let you know how heavy my heart is for you. 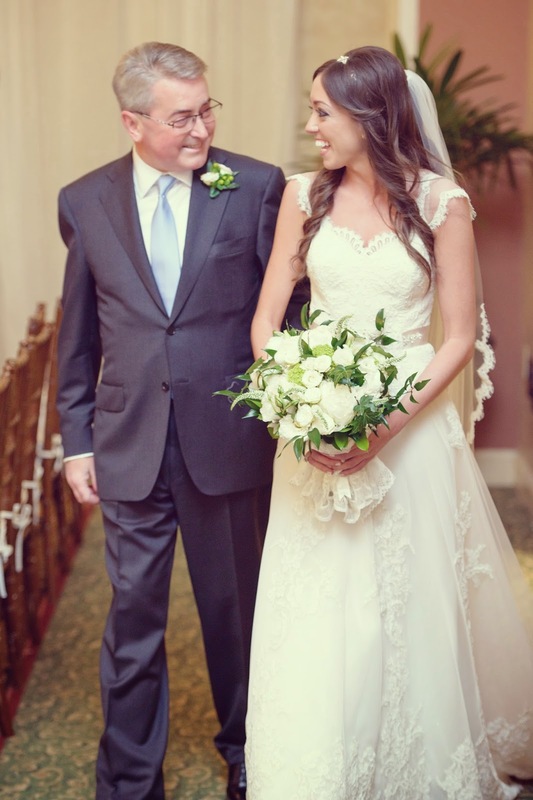 I lost my dad to cancer when I was 11 and I missed him so much on my wedding day. I'm so glad you got those memories, those pictures. You and your family are in my thoughts and prayers. I am so sorry for your loss. I am praying for you and your family. I am so glad he was there for your wedding and you can cherish those moments forever!